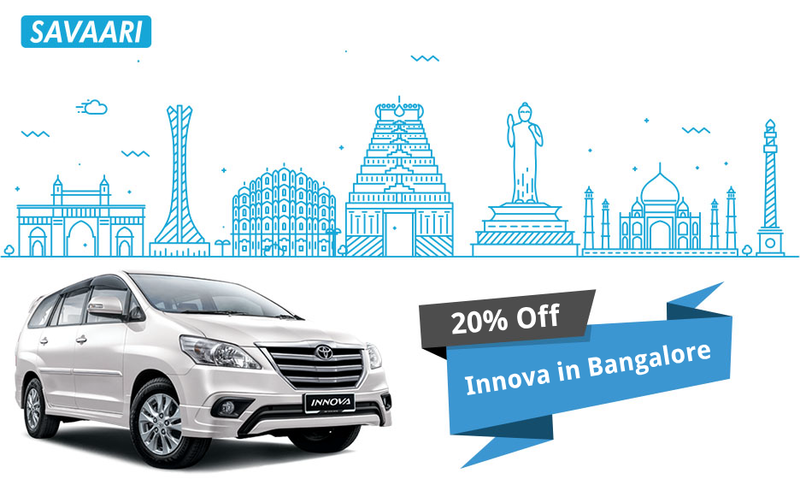 Get 20% OFF when you book an Innova cab to head to popular destinations around Bangalore! Looking for a quick weekend getaway near Bangalore? Look no further! With destinations like Mysore, Coorg, Ooty, Wayanad and Chikmagalur to choose from, you’ll have no trouble squeezing in a small vacation over the weekend. Why look for a self-drive car when you can sit back and relax on your holiday? Book outstation cabs in Bangalore and get 20% off when you book an Innova cab for your weekend getaway.